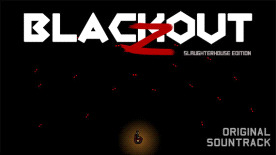 This product requires the base game Blackout Z: Slaughterhouse Edition. The Blackout Z: Original Soundtrack is a collection of 7 awesome original tracks (including 2 versions of each looped and complete) from the great brazilian composer Derek Volker! You can access the musics on the folder "//steamapps\common\Blackout Z Slaughterhouse Edition\Soundtrack"